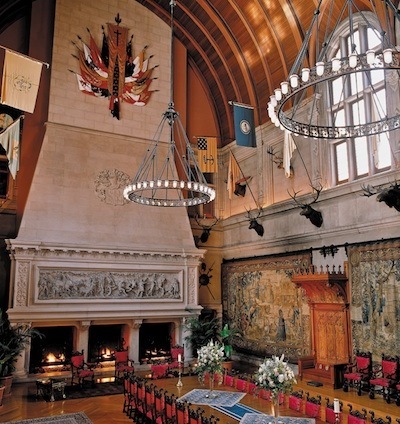 Biltmore House was created to run as smoothly as any grand hotel of the era for the Vanderbilts and their guests. All the technological marvels of the time are here for your enjoyment and exploration. To begin, reserve your stay now at our four-star Inn or at our charming Village Hotel. Check in the afternoon of your arrival and begin your visit of discovery right away—you won’t want to miss any of the estate’s amazing details. Experience an intimate look at historic Biltmore and the family who created it at The Biltmore Legacy. Your next stop should be the Winery for a complimentary wine tasting. 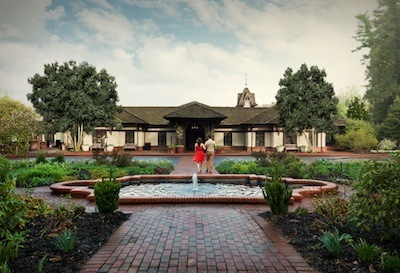 The Winery was originally an estate dairy barn, so look for architectural interest and details such as the clock tower. Dine at Cedric’s Tavern where you’ll be surrounded by archival photographs related to the Vanderbilts’ favorite family pet – a Saint Bernard named Cedric. Enjoy a peaceful night’s sleep back at The Inn or at Village Hotel. Discover cutting-edge technology that kept America’s largest home humming. Consider a breakfast of coffee and delicious pastries at the Bake Shop next to Biltmore House. Look around the Stable Courtyard area at the original cobblestones and the master clock that once kept the entire estate running on time. Purchase our Audio Guide to Biltmore House, which covers all rooms open to the public in America’s largest home. Be sure to check out each in-depth information stop for more details on the Vanderbilt family, systems inside the house, and life on the estate. Look for the construction exhibition in the Halloween Room. Archival images give a sense of the enormous scale required to create Biltmore House and the fascinating aspects of the work itself. Consider taking our Behind-the-Scenes Guided Upstairs - Downstairs Tour and discover the cutting-edge technology that kept America’s largest home humming. For lunch, try the Stable Café located next to Biltmore House. This was the original stable area for horses, and you can enjoy your meal from historic box stalls that have become booths. 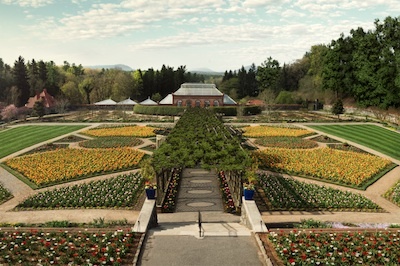 Immerse yourself in the gardens designed by landscape architect Frederick Law Olmsted. From the Library Terrace all the way to the Bass Pond, experience a series of formal and informal gardens – each with its own story to tell. The Conservatory is a great example of a functional, beautiful space. Modern computerization helps the original water collection systems function more effectively. Stroll through the exotic blooms and buds that can thrive under its expansive glass roof. 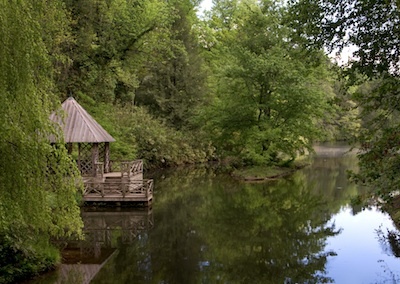 The Bass Pond marks the end of Olmsted’s more formal landscaping. Take your time and imagine the engineering skill involved in creating these original water elements and courses more than a century ago, when the work was done mostly by hand. On your way back to The Inn, enjoy a leisurely dinner at the Bistro. This elegant restaurant features estate-raised and locally sourced products. If you’re staying at The Inn on Biltmore Estate, be sure to indulge in a leisurely morning with the Chef’s breakfast buffet and a visit to the Spa. Return to Biltmore House for the Legacy of the Land Tour. During this informative and comfortable guided motor coach tour, learn more about the history of the land itself and George Vanderbilt’s vision for his estate. Highlights include the construction railroad built and then removed from the property, and the Bass Pond flume – a state-of-the-art original construction element that has helped keep the pond draining properly. As you leave Biltmore, pause for reflection – literally – at the Lagoon. 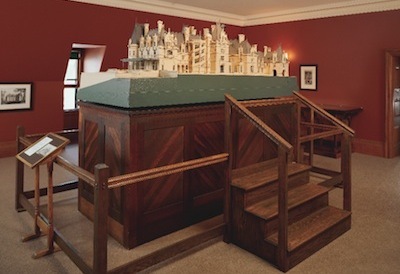 This water element was created as a mirror for the west side of the house and was engineered to remain higher than the level of the river from which it was created.